Periodisation is a methodology which organises the elements of your training program into a series of blocks or units of time that follow a pre-defined pattern or schedule designed to help you attain a fitness goal. These blocks of time are grouped into a training cycle which could last anywhere from 4 to 16 weeks. The concept of periodisation was developed in the Soviet Union and the Eastern Bloc decades ago. The most popular type of periodisation is Linear Periodisation. It has its origins in the Soviet Union. Hypertrophy – The purpose is to stimulate growth by using light to moderately heavy weights or 50% to 70% of your one rep maximum effort for a total of four sets performing repetitions in the eight to 12 range. Strength – The focus now shifts to develop strength by lifting progressively heavier weights that are approximately 75% to 90% of your one rep maximum effort. Total work rate will decrease to three to four sets of five to eight repetitions. Power – Once a solid strength base has been built, the periodisation cycle shifts to test unchartered waters. You will be lifting sub to near maximal weights or approximately 90% to 97% of your one rep maximum effort. Total work rate will decrease to three to two sets of one to two repetitions. Restorative – The Restorative block is often referred to as “The De-Loading Stage”. Its purpose is to enhance recovery through active rest. This means you will still perform the movement but work load and work rate will be light. Usual restorative blocks involve only 50% of your one rep max for a total work rate of five sets of five repetitions. The Hypertrophy and Strength blocks usually take four weeks each. The Power stage which can overload the Central Nervous System or CNS is usually shorter at two to three weeks. The Restorative block is only for a week. 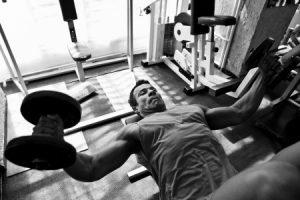 Reverse Periodisation – Start with the Power block then back down to Hypertrophy. Non- Linear or Conjugated – A progressive cycle that has two blocks in a training week. One block is for speed strength equivalent to 50% of your one rep max at a work rate of nine sets and three repetitions. The second block is for maximum strength where you find a variation of the lift and work toward achieving a new personal best. 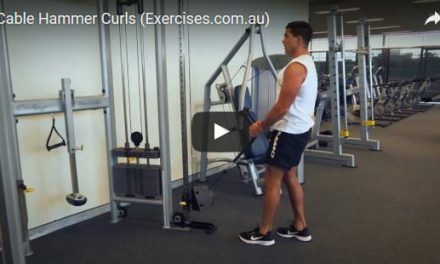 Of these the Conjugated Periodisation popularised by Louie Simmons of the world acclaimed Westside Barbell Club has gained both notoriety and popularity with its approach of frequently overloading the CNS. There are people who have tried the Conjugated approach and reported off- the- chart strength gains. And there are also people who claim the approach is too intense to sustain progress. When you enter the gym, you do not have to figure out the workout for the day. You know exactly what to do: the exercise, the amount of weight, the number of sets and reps. Periodisation eliminated guess work which wastes time and hinders progress. With a periodisation cycle, you have to hit a targeted weight with a pre- determined number of sets and repetitions. The work load and the work rate provide the numbers you have to hit. Every time you complete a workout, brings you closer to your goal. This is a motivating factor because it keeps you moving forward and gives you a great sense of accomplishment. Periodisation calculates everything that you need to do in the gym. It does so in a way that is easy to understand and doable. Most periodisation cycles make it easy for you to hit the target weight by adjusting the base weight to 90% of your max. Because you are slowly transitioning your body to different stages of training, you lessen the risk of injury. Can you imagine if somebody who wanted to Squat 200 kilos without a day of training in his belt just did it on his own? The value of periodisation lies in bringing your body to adapt to different skills and functions by progressively increasing work load. By the time you get to the Power block where the numbers are prodigious and increasingly dangerous to handle, your motor pathways are already set to accommodate the correct bio- mechanics of the movement. You get this done through the higher work rate during the Hypertrophy and Strength blocks. 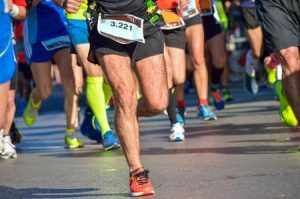 Your joints, tendons and connective tissue have also become much stronger. 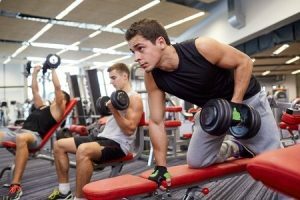 Although we’ve written at length about the benefits of periodisation for your gym fitness programs, its principles can be applied for other sports as well. By adapting periodisation techniques in your fitness program you will have greater focus and direction. You would be able to accomplish your goals as safely and effectively as possible.